A Mystery Dinner is PERFECT for this time of year! As part of the Halloween celebration, Best Western's CottonTree Inn of Sandy and the Country Inn & Suites of South Jordan have teamed with Hunt Mysteries to offer special overnight packages that include two tickets to Hunt Mysteries Dinner Theater throughout October. More details on the overnight hotel packages are available at www.huntmysteries.com for more information. Join Michelle Powell from Enjoy Utah! at a performance at 7pm on Friday October 8th at Spaghetti Mama's in Jordan Commons! Call 1-866-569-1482 to reserve your tickets, and mention my name to receive $2.50 off per ticket! I'd love for you to join me! Nineteen years ago, a little theater "experiment" launched members of a young West Jordan, Utah, family on a crazy ride that they never anticipated. In April of 1991, The family of W. Lee Hunt, a Brigham Young graduate and Deseret News copy chief at the time, staged their first comedy murder mystery for a paying audience at Snowbird Ski & Summer Resort. Suddenly they were caught up in a wave of audience-interactive theater that has grown not only in Utah but throughout the country. Every month since that little "experiment," Hunt Mysteries has found itself planning and executing the "perfect comedy murder" while enjoying its brand of dinner theater at some of the top hotels, resorts and other venues in Utah, Colorado, Nevada and Wyoming. Their adventures have taken various Hunt Mysteries casts on numerous airline flights, including a mini-tour of North Dakota, a trip to Glenwood Springs aboard Amtrak and two murder mystery cruises to the Mexican Riviera. A big part of Hunt Mysteries’ growth over the years has included their annual Halloween comedy murder mystery dinner theater performances. There has been tremendous simultaneous growth of Halloween celebrations in Utah and throughout the country. First on the “menu” was "Which Witch is the Head Witch?" which was performed in October of 1991 at both Snowbird and at The Homestead in Midway, Utah. Other monstrous Halloween mysteries have followed, including "The Beast Must Eat," "Wizardry Dies in the Dark," "Spirits Awake," "Little Shop of Witch Doctors," "Monsters Anonymous," "Dracula's Grand Masquerade Ball: Deadly Wedded Bliss" and "Circus Phantasmal." 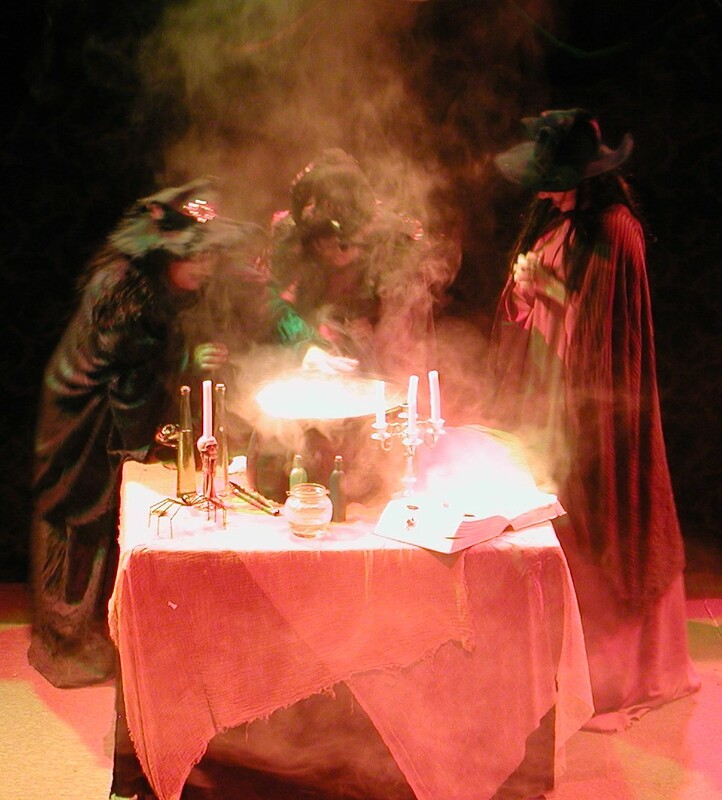 This October, Hunt Mysteries is resurrecting "Wacky Witch's Wedding," which will be staged at Boccias D'Italia in Ogden, Utah, from Oct. 8-23, and then at The Castle in Layton, Utah, Oct. 28-30. Hunt Mysteries' newest Halloween murder mystery, "Gravestoned: All Men Are CREMATED Equal," will be performed Oct. 8-30 at Spaghetti Mama's at Jordan Commons in Sandy – right next to The Mayan and Megaplex 17 Theaters. Part of the added excitement that comes with Hunt Mysteries Halloween shows are the extra elements involved, including special lighting effects, sound effects, props, decorations, costumes – and just the whole Halloween ambience. In fact, October has traditionally been the most popular month for attendance at Hunt Mysteries’ public performances. Private shows in October take a backseat to the special Halloween performances. Show tickets are $15.00 per person; $10 for children 12 and under for shows at both Spaghetti Mama’s, 175 East 9400 South, Sandy, UT 84070, and Boccias D'Italia, 1045 North Washington Blvd., Ogden, UT 84404. Both venues will offer separate food and beverage service during the performances. Once seated, guests can order from the special Hunt Mysteries menus, including assorted beverages. Doors open and actors begin mingling at 7 p.m. at all three venues. Each performance includes fun song and dance numbers, loads of family-friendly comedy and a mystery that each guest helps solve if they wish. Guests can individually question all the suspects, the actors and work through the clues in solving the "murder." Hunt Mysteries turns the theater experience upside down -- encouraging guests to break "the fourth wall" and engage the performers in a battle of wits and wit! An evening includes a full package: dining, comedy, mystery and musical entertainment. Your typical movie and a pizza night it isn’t. Booking reservations are simple: Go online or call 866-569-1482, and use Discount Code hmtown to get $2.50 off per person. In "Gravestoned," guests attend the Morticians Annual Cremation and Burial Rituals Expo (M.A.C.A.B.R.E.) 2010. Making M.A.C.A.B.R.E. product presentations will be Mortimer Stillman, owner of the ageless Stillman Funeral Home; Dorian D. Kay of DeKay Specially Funerals Inc.; Eudora Burns of the Burns-Goode Crematorium and Death Sciences Institute; Seymour Stiff, author and expert on all things Zoombie; and Pearl Goodbody, freelance makeup artist who specializes in making the living look as good as her corpses. Remember, it's never too early to start planning for your departure from this life -- so order your double-wide coffin with drink holder, snack fridge and cable TV today! In "Wacky Witch's Wedding," a Witches Coven gathers on Halloween night for a wild and wacky witch's wedding. On that night, a trio of witches brews a potion so powerful that the unbelievable happens! Then the fun begins! But something goes wrong - as they often do when mysteries unfold: Has the potion been properly prepared? Is there someone festering the festivities? Will the wedding come off without a witch? Characters include Gigi Gomez, the young and eligible witch who awaits the "arrival" of her groom; Nerva Gomez, Gigi's mother who'll stop at nothing to make her daughter happy; Hazel Witch, Gigi's aunt who sometimes gets things mixed up; Serena VaVoom, who can put any man or warlock under her spell; Drak Gomez, Gigi’s off-kilter uncle who is always ready for a good drink; and "The Groom," a surprise twist. Wish you guys offered matinee shows at lunch time... my company would probably get a kick out of that.